To run or not to run, that is the question … and does it matter? Last Sunday, I took part in a sponsored event for the Alzheimer’s Society, which, as some of you will know, is a cause very dear to my heart. 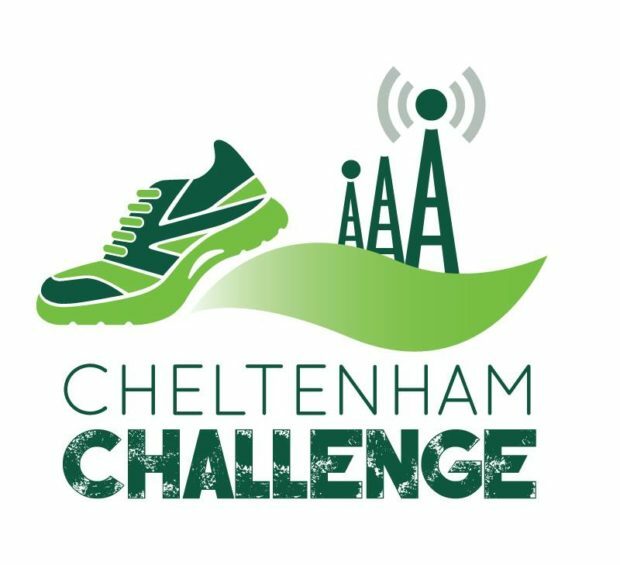 The Cheltenham Challenge has several options, catering for all abilities – walking or running anything from 5k to an Ultra-Marathon. I, with my friend Liz, opted to do 10K. We did it last year and raised over £300. On that occasion we both walked more or less the whole way, as we don’t see each other too often and had a lot of chatting to do! I know, I know … that’s not the point, but still …maybe we should be sponsored per word. This time, however, with PBs to beat, we decided to run as much as we possibly could, without having to call on the first-aiders. The route follows Cheltenham Racecourse, then out onto cross-country (very muddy) tracks and fields, over stiles, through fields and over streams via slippery single track bridges, as well as more accessible, hard-surfaced country lanes. It became apparent very soon that Liz’s fitness levels were way in excess of mine. Before we had even ventured off the racecourse, I was struggling … oh dear. The dilemma was whether to continue to struggle, to hold Liz up, who was itching to run on or, as I felt at that point, just give up and cry. Liz felt that she should stick with me, despite me saying she should go at her own pace. I didn’t want to hold her up and for her to feel she needed to stay with me. It was absolutely fine with me for her to run on, and I would have felt guilty if I’d held her up. Eventually we agreed that she would run on, but would increase her sponsorship of me, while I went at my own, somewhat slower pace. That was fine with me and, I’m sure, was fine with the Alzheimer’s Society. So, we continued … I didn’t see her again till the end. I walked, quickly, but I did walk most of it. My self-imposed challenge was to run the downhill and harder surface sections, which I more or less did, finishing about 10 minutes behind Liz, and fuelled by handfuls of jelly beans. I don’t eat them at any other time, but they’re rocket fuel when facing yet another muddy track and seeing the 10K direction arrow pointing away from the Finish line clearly visible, so near yet so far away. Having said that, it was lovely to be in the beautiful Gloucestershire countryside with time to look around and appreciate the views. There were also some beautiful houses en route, which gave me definite location envy. I began to contemplate whether it was feasible to sell our house and maybe buy a small shed, with a view, in that area. Yes, it is slightly out of our price range. It’s seriously posh round there. The Challenge, as I said, consisted of several options and so various levels of athletic ability: from me and others like me, to elite runners who were taking on the Ultra-Marathon. At one stage I overheard a couple discussing whether to run the whole 36 miles – that must have been the Ultra-Marathoners – 36 miles!!!!! That’s insane. Despite those various challenges and abilities, the atmosphere was one of ‘we’re all here for the same purpose – to do what we can to the best of our ability.’ That was very clear throughout the whole event, from the warm-up, where elite runners mingled and chatted with the Sunday strugglers (i.e. the likes of me) to the finish line and the collection of medals and finishers t-shirts. There were times when I thought I’d never get that t-shirt; I often felt like crying, my legs hurt, my back hurt, I had a blister on one toe, I’d been bitten by some small, annoying insect, my trainers were wet and muddy and I was sneezing from running through fields of grass. In addition, my specs kept slipping down my nose because of the sweat (not perspiration or lady-glow – I was definitely sweating.) I was a sorry state: red-faced and disappointed with my efforts. While I was struggling, small incidents boosted me immensely – the small boy about 1km from the finish, who high-fived everyone as they ran past, from tall, long-legged elite runners to doddery old ladies like me; also the family who stood outside their house with a home-made banner, shouting encouragement – again to everyone, irrespective of their ability. Thank you to the small boy and that family. However, I was most motivated and encouraged by a group of runners who clearly were very fit and fast, as well as young and long-legged and seemingly ready to do the whole distance again, who shouted “well done” and “keep going” as they whizzed past. They didn’t need to do that; they could have just overtaken without a word, while being justifiably annoyed by someone like me being in their way, but they didn’t. That meant so much. Thank you speedy runners. You gave me the incentive to keep going, to run the last few hundred metres and to jump into the air, arms aloft as I crossed the finishing line (and grabbed another handful of jellybeans). Thank you also to the man, unknown to either Liz or I, who, while we were having our lunch, saw our medals and donated £10 to the Alzheimer’s Society. What a lovely gesture. Thank you, whoever you are. We raised almost £200, through sponsorship from friends, colleagues and family, which made all the effort, blisters, pain and nearly tears, worthwhile. Thank you all of you, including our sponsors and to Liz for increasing her sponsorship, so I could have a walk/run in the beautiful countryside without feeling pressured to push myself further and faster than I felt was possible, or sensible. Incidentally, Liz and I both gained new PBs for the 10K. (The times are a secret between us and the electronic chips on our race numbers), but we each made our minds up that next year we’ll probably stick to the 5K … or maybe not … the t-shirts and shorts are now washed, the trainers are clean, so maybe, just maybe, if we start training now, we could tackle the Ultra-Marathon … hmmm … Meanwhile, we’ve both just signed up for a 7k Memory Walk for the Alzheimer’s Society in Bath, in September.